The husband and I celebrate ten years of matrimony. In a world where heterosexual couples are mostly forgoing marriage for co-habitation, I am glad that he and I are still together. He truly is my best friend now and we are partners in making our lives the most successful, the most passionate, the most meaningful that it can be. What more can one ask for than to TRULY LIVE to find joy and be happy? 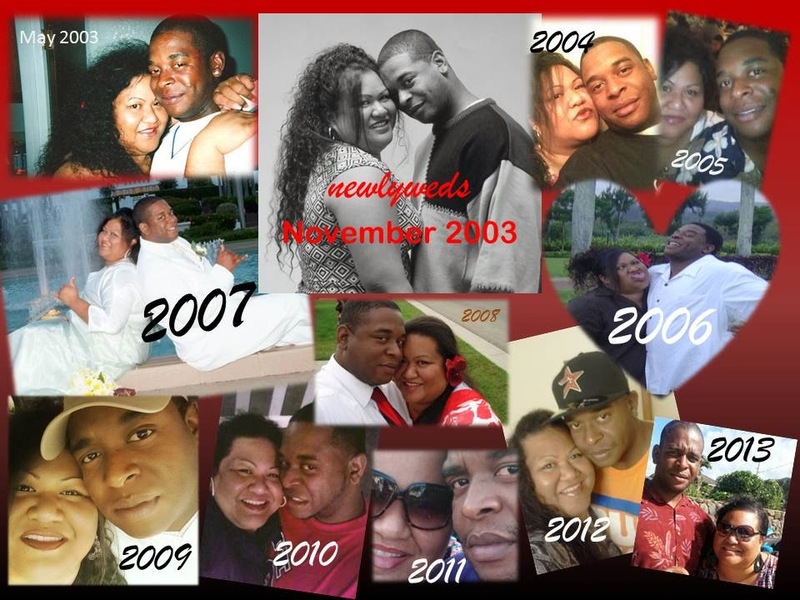 In honor of the life that my husband and I have, I looked through old pictures of us. It seems like just yesterday we met and fell in love. The movie Diary of a Mad Black Woman reminds me of our love story. Me, getting out of a marriage that wasn't working only to fall immediately, head-over-heels in love with my husband. So I'm Helen, played by Kimberly Elise. The ex-husband is Charles, played by Steve Harris. My hubby now is Orlando, played by Shemar Moore. Seriously, my husband just swooped right in and delivered EVERYTHING I desired in a man and partner. It wasn't all good. We did have our fights and some serious hard times but we're still here and we're both in it for the long haul. Who knows what tomorrow will bring for us? No one knows. I will live in each and every moment and be grateful for his presence in my life. He and I have the most extraordinary discussions about life and relationships and politics, religion, philosophy, and on and on and on. A lot of times we fall on opposite ends of the spectrum but it works for us.